1992 - Hoh Daiko teaches taiko to Ekoji Dharma School students during their winter visit for Seabrook Buddhist Temple mochitsuki. 1993 - Soh Daiko provides introductory taiko workshop to Ekoji members during a visit to DC for a performance at the Smithsonian Folklife Festival. 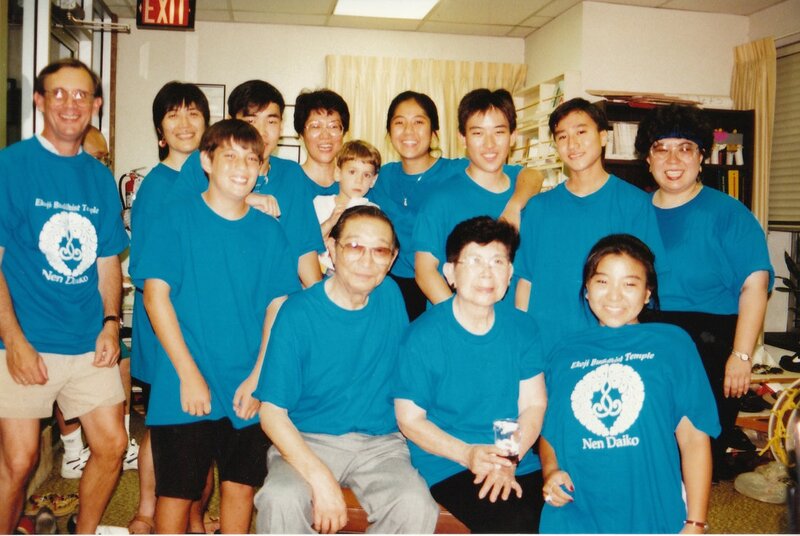 1994 - Nen Daiko is founded by Beth Fujishige. Roger Ratlif led the effort to build the taiko based on the designs provided by Hoh Daiko member Stanley Kaneshiki. 1990s - Nen Daiko hosts its first Obon Obento Fundraiser, later part of the annual Obon Festival. 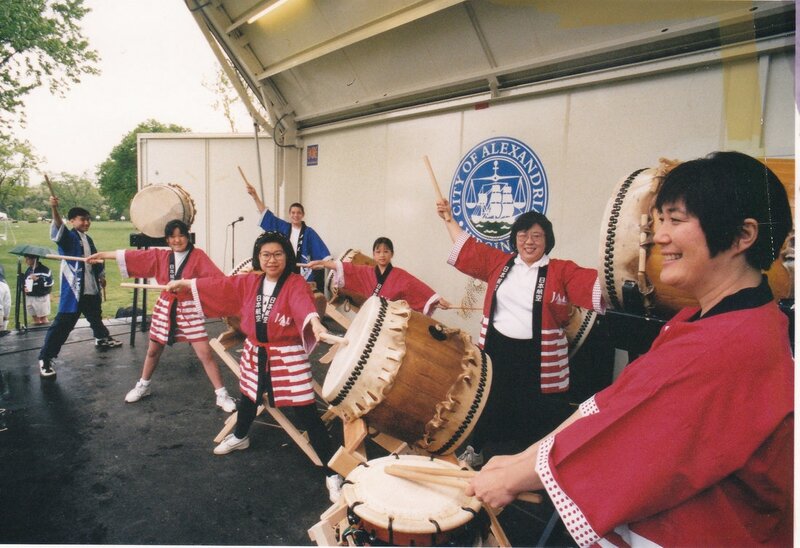 1990s - Nen Daiko first performs at the Seabrook Obon as one of part of the relationship between the three sister taiko groups. ​1999 - Nen Daiko first performs the song Yamabiko, composed by member Ruth Setsuko Vines. ​2000 - Nen Daiko plays at the dedication of the Japanese American Memorial to Patriotism During World War II and every year after at the Freedom Walk. This performance marked the debut of the song Chemistry, composed by member Greg Nakamura. 2003 - Nen Daiko first performs the song Shiawase Ondo, composed by member Greg Nakamura. The song was written for the wedding of Ekoji member (and babysitter of Greg) Tracy Kondo and Terry Higuchi. 2003 - Ekoji dedicates the Garden of the Three Treasures, designed by a Nen Daiko member. 2005 - Nen Daiko performs at the Taiko 10 Concert at the North American Taiko Conference in Los Angeles. 2007 - Nen Daiko performs at the Japanese Ambassador's barbeque honoring U.S. troops in the Middle East. 2007 - Nen Daiko first performs Satori no Michi, written by member Ruth Setsuko Vines. 2007 - Nen Daiko performs a record number of occurrences in one season, which was 22. A more typical season is about 15 performances. 2008 - Nen Daiko performs at the National Theatre & Strathmore summer festival. 2010 - Nen Daiko performs at the Smithsonian's 44th Folklife Festival celebrating Asian Pacific Americans with the theme Local Lives, Global Ties. 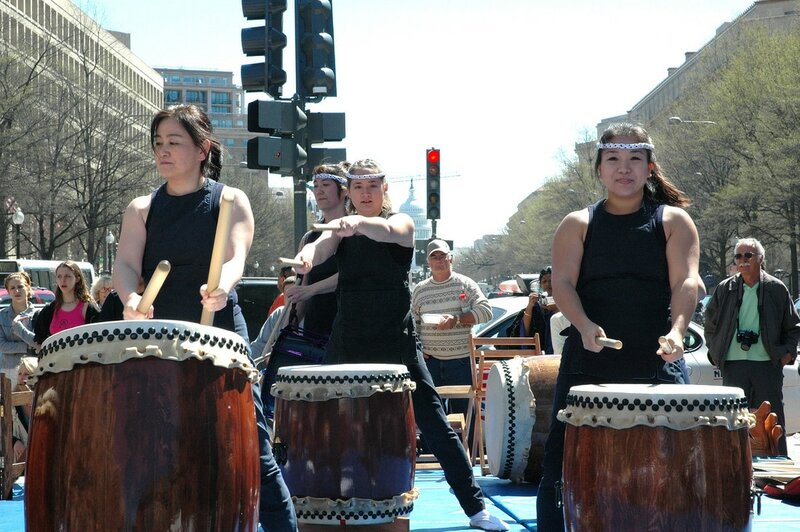 2011 - Nen Daiko performs at the Hope for Japan Earthquake Fundraiser benefiting the Japan Relief Project. 2013 - Nen Daiko performs at the Out of Many Festival at the National Museum of the American Indian. 2014 - Nen Daiko celebrates 20 years with the In Gratitude concert at the Synetic Theater, including sister groups Soh Daiko & Hoh Daiko. 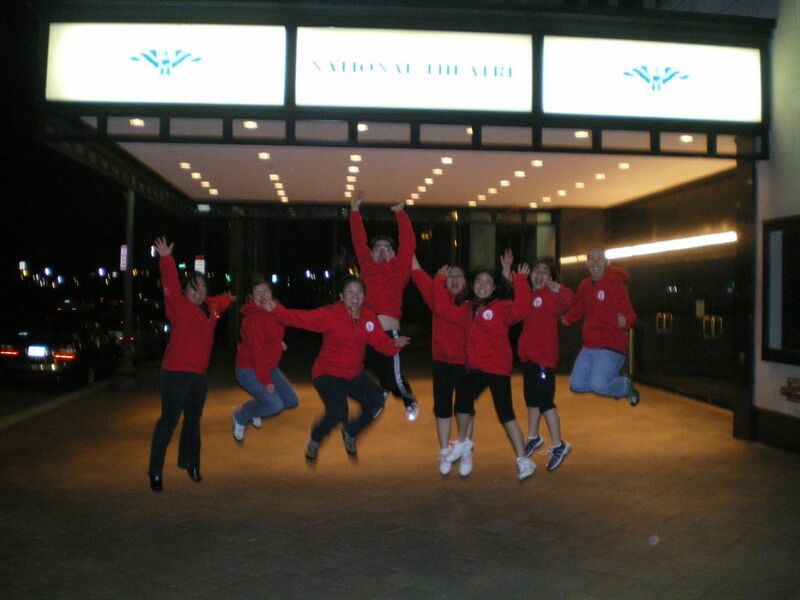 2015 - Nen Daiko performs at the White House Initiative on Asian Americans & Pacific Islanders - AAPI Summit. 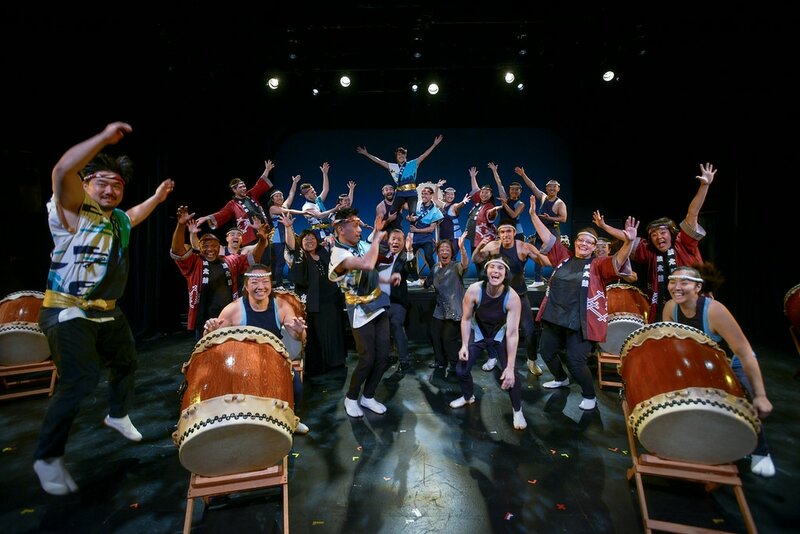 2017 - Nen Daiko is invited to perform at the Taiko Jam concerts at the North American Taiko Conference.